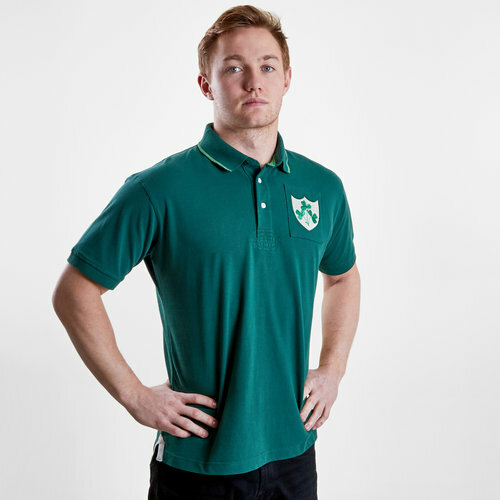 Show your passion and pride for the shamrock with this Ireland 2019/20 Vintage Rugby Polo Shirt from VX-3. The classic green look needs no introduction and is joined by a lighter green around the collar and sleeve cuffs. 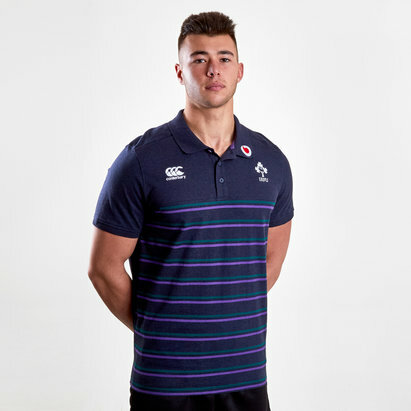 The Irish shamrock is stitched aside the buttoned neckline with the word Ireland stitched under the collar at the back in white. 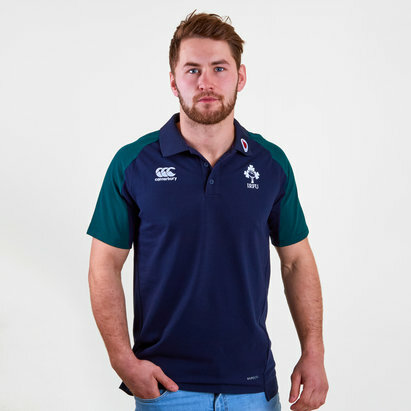 Cheer on Ireland in the 6 Nations and at the 2019 Rugby World Cup with this polo.